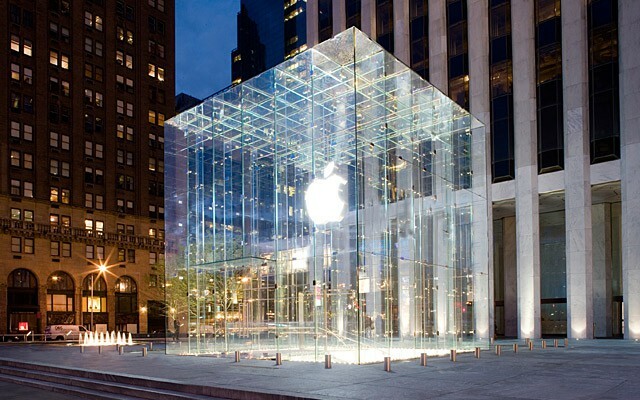 Apple wants its new Indian retail store to resemble its iconic Fifth Avenue, NY shop. Apple is planning a major flagship retail store in India, with a design reminiscent of its Fifth Avenue Apple Store in New York, according to a new report. The company is also said to be planning a string of smaller Apple Stores on high streets and in malls in India — ranging from 15,000-20,000 square feet — and has instructed leading real estate brokerage companies to begin scouting appropriate venues. The first wave of Indian Apple Stores will reportedly be located in Mumbai, the National Capital Region, Bengaluru and Pune. Recently, Apple re-filed its foreign direct investment application in order to be allowed to set up company-owned stores in the country. Previously Apple got around this issue by selling its products in India exclusively through premium resellers operating on a franchise model. Interestingly, it seems that Apple’s enthusiasm in this area is prompting Samsung to up its retail game in India, in an attempt to beat Apple to the locations it’s currently busy scouting. For those keeping track, it’s no big surprise that Apple would want to open major flagship stores in India. As one of the big, still-developing smartphones markets, Apple has been pushing to increase its market penetration in India at a time when other iPhone growth is beginning to slow. According to a recent forecast by IDC, increasing phone sales in India is one way that Apple will drive continued growth in its iPhone business — after the market has started to reach saturation point in the U.S., Western Europe, and China. Apple has additionally investigated the possibility of growing its enterprise market in the country, as well as planning to invest $25 million in a new office complex in India — which will bring approximately 4,500 jobs to the area during the construction process. Last year, Apple surpassed the $1 billion sales mark in India for the first time. With a fleet of new Apple Stores, and one giant Fifth Avenue-style iconic retail venue, there’s no reason this growth should slow down any time soon.